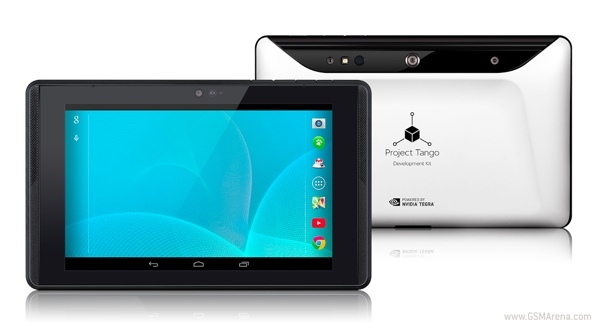 We have talked about Google's Project Tango in the past. It works with specialized devices running Android to track 3D objects and spaces in real-time and generates a vital map of it, which can be used for various purposes. Back when it was announced, there was just one device that Google used internally for testing. But now, the company has released a new tablet for developers to buy and work on the project. Called the Project Tango Tablet Development Kit, this is the second device since the Xiaomi MiPad to run on NVIDIA's powerful new Tegra K1 SoC. It also has a 7-inch display (no word on resolution), 4GB of RAM, 128GB storage space, motion tracking camera, integrated depth sensor and 4G LTE connectivity. Considering the hardware, it's not surprising that the tablet is priced at $1024 and you'll have to sign up from Google's website to be able to get your hands on one. You can find more details from the link below. a 15inch would no longer be considered a tablet.